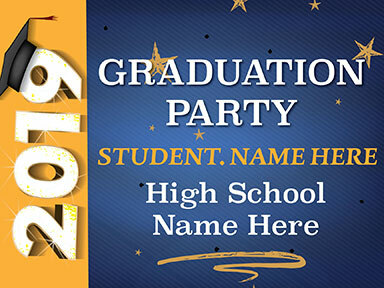 Celebrate your student with pride by ordering a personalized or customizable graduation yard sign today. 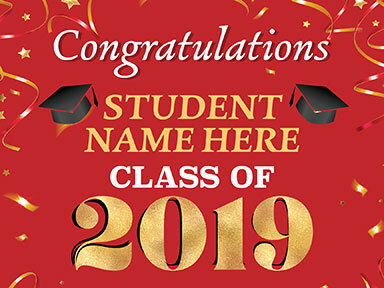 Celebrate your student with pride by ordering a personalized or customizable graduation yard sign today. 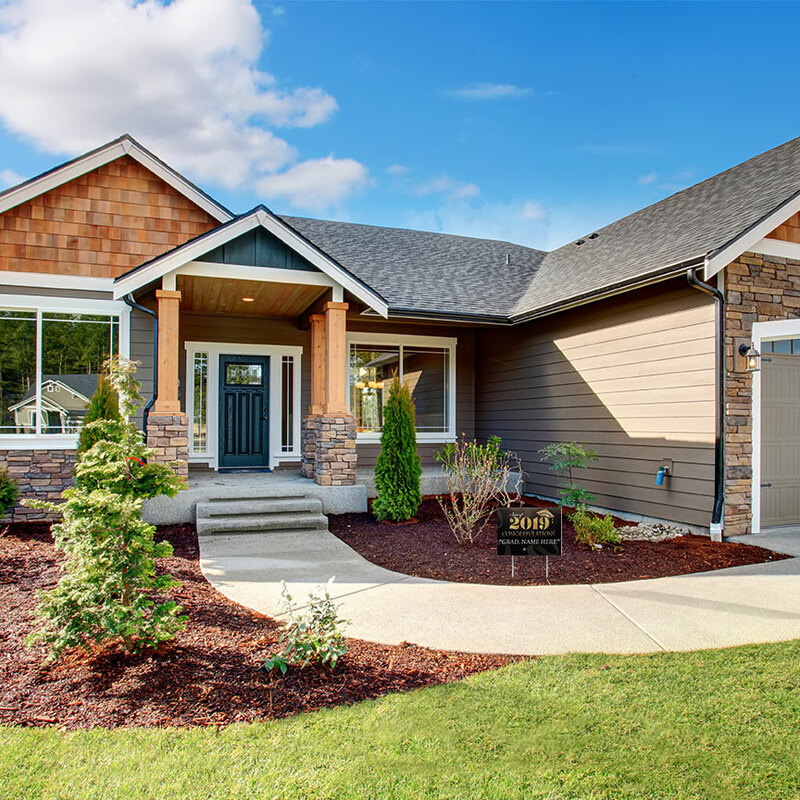 Graduation signs are an inexpensive way to recognize your graduates on their major accomplishment. 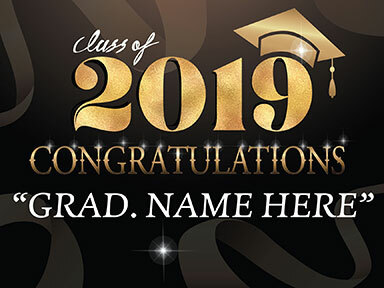 Customize one of our predesigned graduation signs or simply create your own with a special message of congratulations. 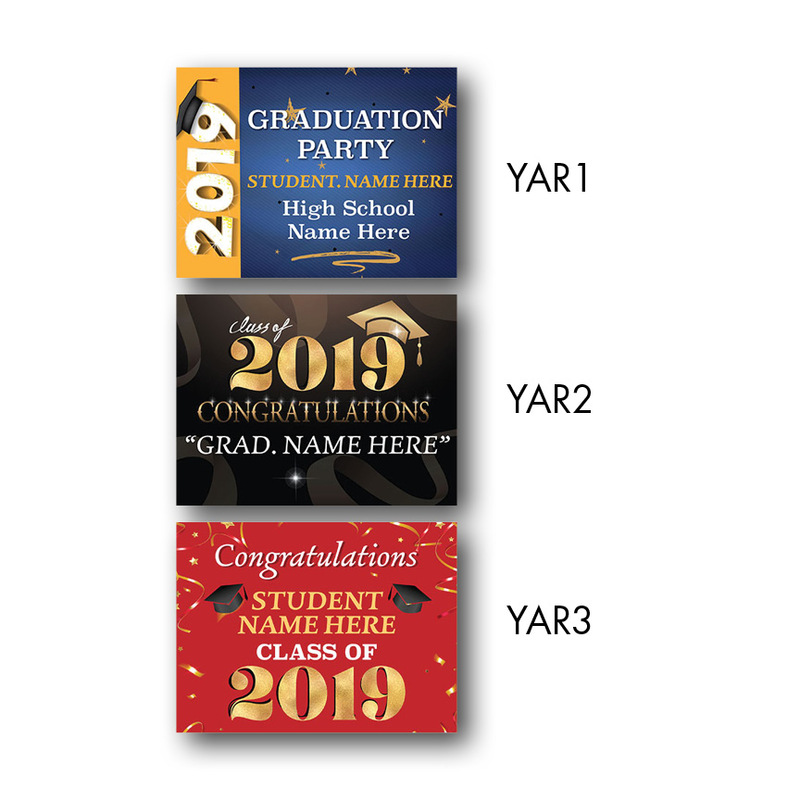 These graduation signs are printed on a 4mm white corrugate water-resistant plastic and can be mounted with a metal H-stakes to support your sign and easily insert into the ground.